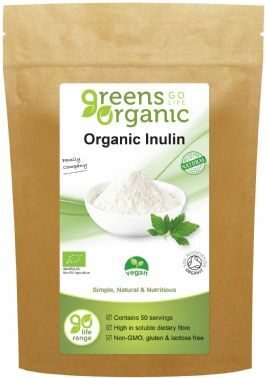 Greens Organic Inulin is one of the very few organic sources of Inulin in the UK. Inulin was featured in the BBC’s ‘How To Stay Young’, with Angela Rippon. The programme highlighted the effects of having high levels of unseen visceral fat surrounding our internal organs, such as the heart and liver, and how Angela was recommended inulin to reduce these high levels of visceral fat. Inulin has almost no taste, and can be sprinkled over food, or added to smoothies or juices.